We take health seriously. We curate our selection. We agonize over our products. Many factors contribute to how we evaluate products and brands: ingredient sourcing, base ingredients, testing methods, and dozens of other variables are taken into consideration when choose (or choose not) to stock something. In light of that, we want to talk about vaping. Yes, vaping. Specifically CBD Vapes. But before we get there, let's lay down some base info. So what about CBD vapes? Based on anecdotal reports and our understanding of physiology, vaporizing CBD does likely have a very high absorption rate because it bypasses digestive processes and enters the blood quickly through the lungs. As a result, it may have a more noticeable, 'fast' effect compared to a tincture, oil, or pill. But there is still controversy to be hashed out around the potential health benefits and potential health risks of CBD vapes. The pens themselves are made of metals, plastics, and sometimes glass. In most all E-Cigs (AKA Vapes), high temperature pieces of metal or quartz wrapped in metal wire are what actually vaporizes the CBD oil. Multiple studies done by prestigious institutions like Johns Hopkins, the NHI, and others have shown that the vape pens themselves may expose the user to unnecessary intake of toxic metals like nickle, cadmium, and lead. As a health focused business, we aim to provide solutions for health. While 'vaping' CBD may be an effective tool for some people, we believe that ingesting it orally and using it topically has broad potential health benefits. Therefore CBD can be effective without the potential exposure to toxic metals that vaping and potential health risks that vaping may have. We appreciate the value vaping may have, and the need it may fill, but at this point, we have decided not to stock any CBD Vape products. If a CBD Vape is what works for your health, for your needs, 'more power to you.' We support you on your health journey! 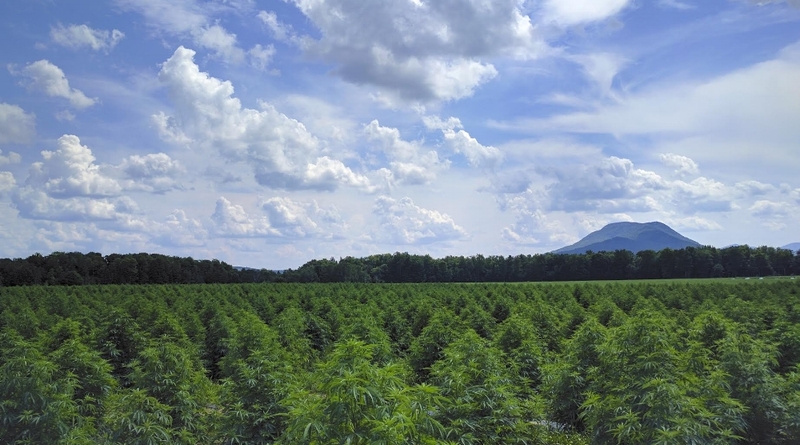 Beautiful fields of agricultural hemp from our partner SunSoil in VT.
Disclaimer: Nothing in this website is intended as, or should be construed as, medical advice. Consumers should consult with their own health care practitioners for individual, medical recommendations. The information in this website concerns dietary supplements, over-the-counter products that are not drugs. Our dietary supplement products are not intended for use as a means to cure, treat, prevent, diagnose or mitigate any disease or other medical or abnormal condition. I bet you’ve never tasted a mushroom blend that as good as the Tamim Tea blends! With five unique, synergistic and delicious mushroom teas, they create a user friendly experience - making it easy for you to get the benefits of mushrooms in a simple and tasty way. Medicinal mushrooms are growing in popularity - more and more of our customers are seeking them out for their health and wellness benefits. We truly believe that they can save the world! Last year during Herbstalk, Michael Kanter, co-founder of Cambridge Naturals, noticed Liat from Tamim teas offering her delicious mushroom tea to the public. Her blends were gaining a lot of interest from the attendees, all the notes were very nicely balanced, AND she was working with local farmers for her blends. Ever since then, we have closely collaborated with Liat and her products, and were one of the first stores to offer them. In addition to the pre-packaged blends, two of the Tamim Teas are now also available in our bulk section: “Lion’s Share and Reishi Delight”. Her full line consists of: Lion’s Share, Reishi Delight, Chaga Chai, Shiitake Uplift, and Maitake Bloom. I talked with Liat to learn more of her story and why mushroom teas are a great addition to your daily diet! How did you get inspired with the idea to create such unique mushroom blends? Sipping on mushrooms for health benefits is an age-old tradition that has recently gained more attention from people interested in caring for their health in a natural way. When I first started drinking mushroom teas, I realized that I didn’t love the taste of plain mushrooms, but I do love tea! By using herbs to balance the flavor profiles of different medicinal mushrooms, I could make blends that were delicious, full-bodied, and much better tasting than the teas I was drinking everyday – and with the added benefits of mushrooms, it was the best of both worlds! Where do you source your ingredients? Why is sourcing locally important to you? Our mushrooms are locally sourced from family farmers who we know and trust in New England. Many of our organic herbs and spices are locally grown, too. 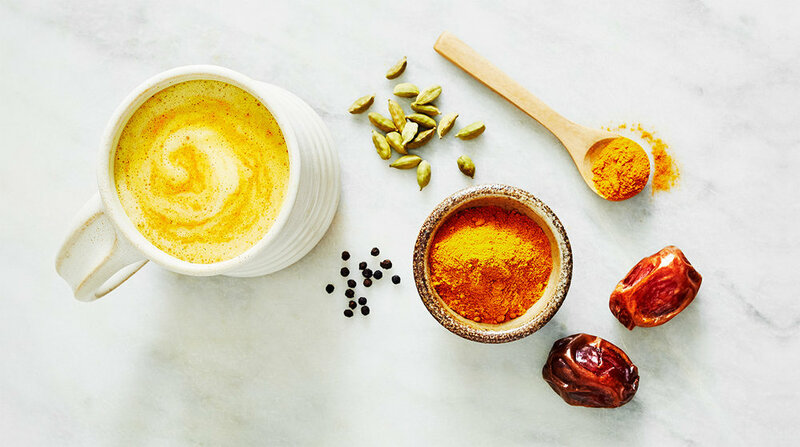 Currently, we use local and organic ginger and turmeric from western Massachusetts. Local means the best taste, and benefits for both you and the environment. Our mushrooms are grown and freshly dried whole, so you wont find any processed powders or extracts here. Our cultivated mushrooms are grown organically, without chemicals or toxins, and our wild harvested mushrooms are sustainably sourced. This is vitally important to us as mushrooms like chaga can take years to regrow and irresponsible sourcing can wound trees and cause long-term ecological damage. Which is your favorite blend of Tamim Teas? Why is it your favorite? How do people respond to the idea of drinking mushroom teas at first? There are two general groups of responses. The first are from people who revere mushrooms as a source of vitality. These are often people who are already taking mushroom supplements based on powders or alcohol based extract and for them, an all natural caffeine-free tea made with whole local dried mushrooms is a no-brainer. The second group of responses is from people who have never heard of mushroom teas. This is always more exciting for us, as we love the transformation from wary… to curious… to yum! “La Vida Es Un Carnival” (Life is a Carnival) by Celia Cruz. The song reminds us to think of life as a carnival; to always remember to laugh and that pains can be alleviated through song and dance.